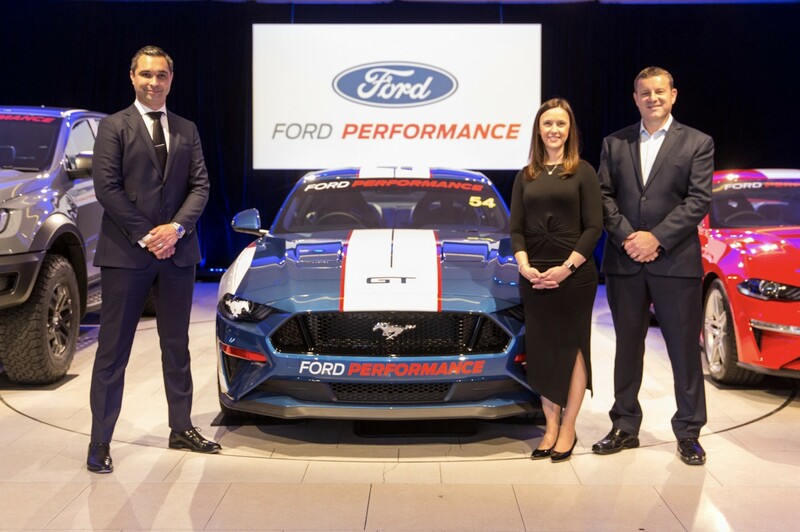 Ford Australia has announced it is returning to the Virgin Australia Supercars Championship in 2019 with the Mustang. Retaining the 5.0 litre V8 engine currently used in the Falcon FG X, DJR Team Penske and Tickford Racing will develop the new model in partnership with US-based Ford Performance. 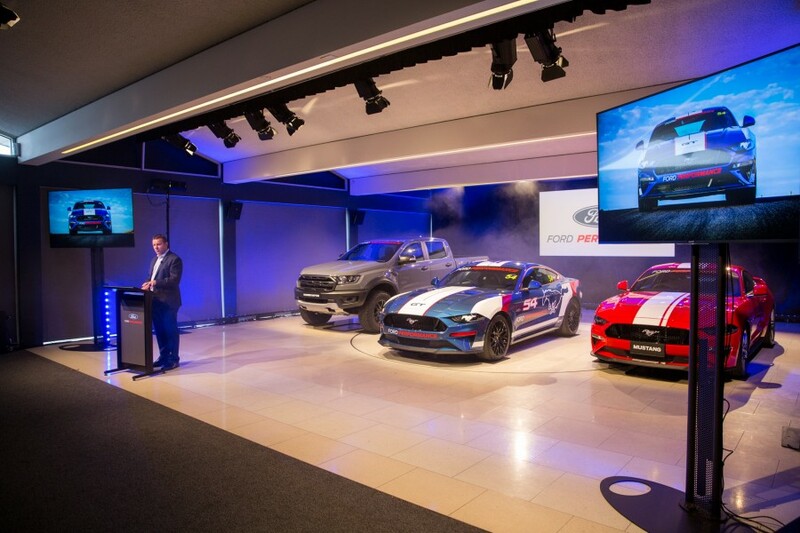 The news ties in with the launch of Ford Performance in Australia, with the incoming Ranger Raptor to also act as Supercars’ Official Recovery Vehicle. 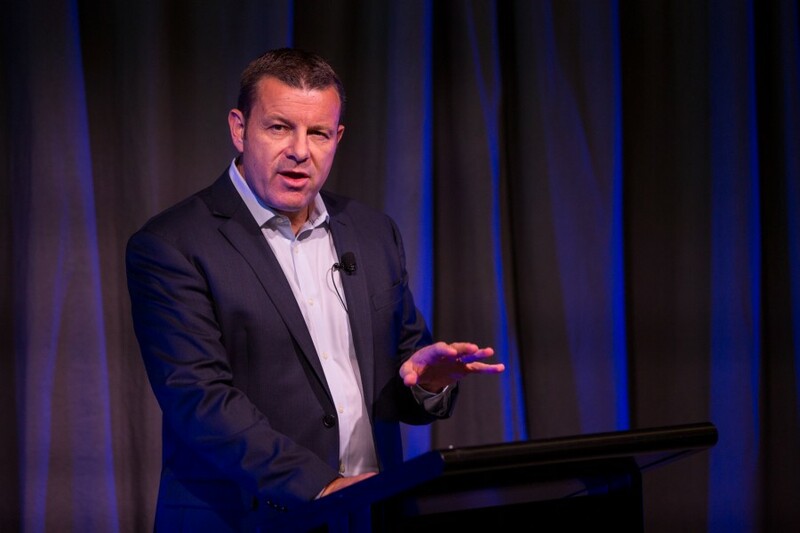 Supercars.com spoke to Ford Australia President and CEO, Graeme Whickman, to discover more about why and how the company is returning to the sport. Why are you going back in to Supercars racing? Racing is in our DNA and we always knew the potential for us to return to racing was in front of us. We quietly supported the teams ever since officially pulling out from a factory point of view. Quietly in the background we maintained dialogue, we helped them with things like some [road] cars and some panels and the like, because at the end of the day they were always very good partners and always were very honourable, so we never wanted to let them down. But at the same time, we needed to make some choices around where we were going to invest our money back in 2014, ’15, ’16, ’17 and the like, and at the end of the day we knew we had some products coming through aligned with the Ford Performance stable that essentially could have us back in racing. So, it was a matter of waiting for the right time both from a product point of view and from an investment point of view. We maintained that dialogue with the teams and it's obviously transpired that we feel like we are going to have a very successful outcome with the Mustang on the track. How long have you been seriously talking to the teams about a return and what triggered the discussions or negotiations? Clearly, we needed to make sure there was a feasibility from a technical and a financial point of view and some due diligence needed to be done. We have been talking to the teams since the latter part of 2017 and working internally since the midpoint of last year, maybe a little bit earlier. We always knew that there was an opportunity, but we just needed to make sure that the planets were aligned and we started speaking to the teams from a technical and commercial feasibility point of view in the latter part of last year. We have been working with them for a number of months now, making sure we do that due diligence. We have involved the series as well and that was done more latterly. And that’s where we have arrived at. We never closed the door on Supercars in a strategic sense, right from back in 2014… we always had the potential there. That’s what led us to where we are now. What was the trigger for the commencement of discussions about a return? Once we had gone down the path of Mustang, and brought that in, we knew that presented probably the most realistic, credible and exciting opportunity when it came to racing and with the onset of looking at Mustang in the early part of last year for racing, we knew it would have a lot of interest from racing enthusiasts in Australia. And so that alongside our other performance vehicle aspirations - we brought in the RS Focus, we are announcing the Fiesta ST - we have that performance pedigree. It just seemed the right thing to do to sit alongside what would be a car on the track. There was no specific trigger in time or particular entity. This was just a matter of decent strategy and making sure we connect with racing enthusiasts when we have a stable of vehicles that are relevant to them. 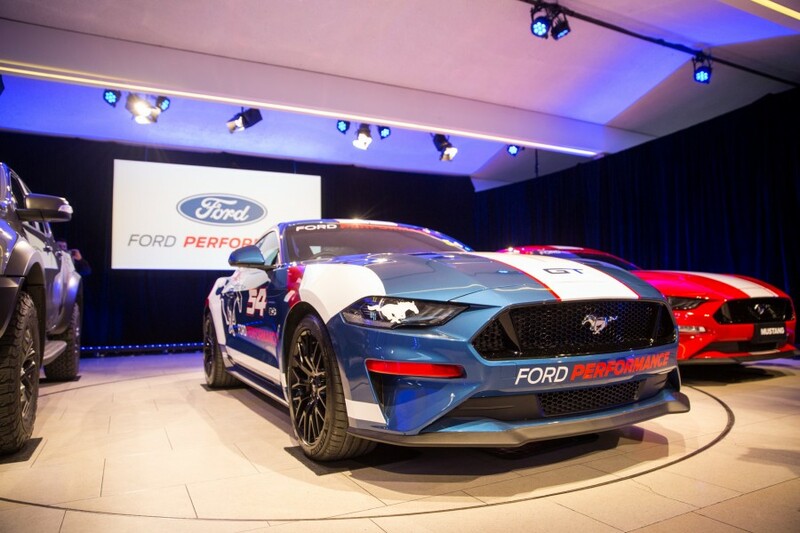 In the old days, Ford invested millions of dollars annually in its Supercars racing teams. Is it fair to suggest that’s not the structure under which you are returning, that it’s not a huge financial investment you’re making? It’s a triumvirate, it’s a partnership with ourselves, Ford Performance and the teams. And working also with the series. So yes, it’s a partnership and yes there is a financial contribution. But we work in very different ways these days. I would say it’s more of a modern interpretation of what a partnership would look like from a racing context. It doesn’t mean we don’t have any skin in the game, indeed we do. And that is not just financial skin, that’s also intellectual skin because we have asked Ford Performance to help them and that’s the first part of the dialogue that took place last year. It’s more of a modern interpretation, which means it’s not pie-in-the-sky sums, because that’s not responsible. At the same time it’s an intellectual and financial partnership to make sure we have a terrific vehicle running around the track. Clearly the strategy from Supercars these days is to get cars on the track cost effectively. Is that the model we are talking about for this exercise? I think it starts with having a view that you have got to perform well on the track. There is no point in simply participating. We have an expectation that we should be competitive and that’s why we have partnered with the two teams who are competitive in the past and were long-term partners and of a high quality. We start with the point of view you want to be competitive, but sitting alongside that you have to be responsible from a financial point of view. You have to cut your cloth. So, we are looking for a decent performance on the track, but not underpinned by grandiose sums. They need to be responsible sums being spent to achieve a good connection with racing enthusiasts and also achieving a good result out on the track. What is the division of responsibilities between the partners in this exercise? Essentially, we have engaged our global arm Ford Performance for exactly this. They will work with the teams, who are obviously well-versed in their technical capability, and those two groups are working hand-in-hand in terms of the performance of the vehicle, from the powertrain all the way through to aero. Naturally that works in tandem with the series to make sure we meet the technical requirements. Clearly the series has moved on, not only in nomenclature terms, but by embracing two doors, different powertrain outcomes and the like and that has been important. As it stands at the moment right now, we will be going through the homologation process and that will primarily be driven by the teams and Ford Performance. That is the matter at hand at the moment. 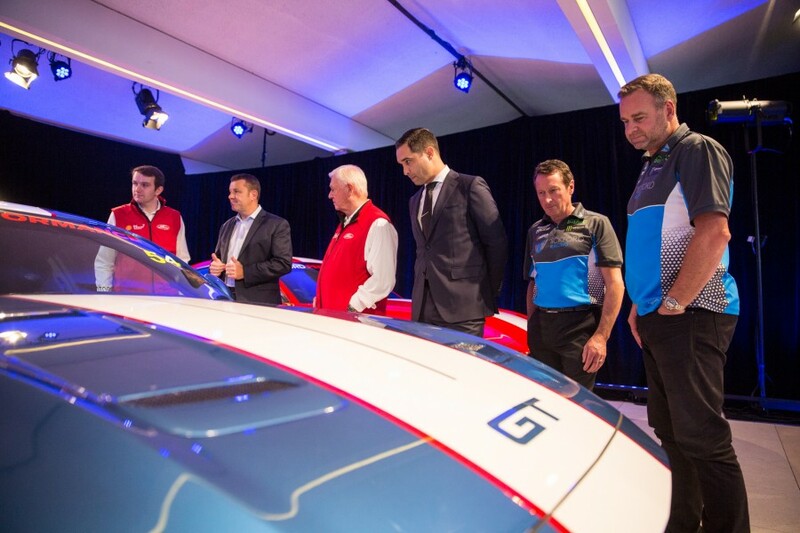 What does the Ford Motor Company of Australia bring to the deal? At the end of the day we are the commercial link to this and also it’s our responsibility to make sure we have a vehicle out on the track we are happy with as much as the teams are. Otherwise, we would have technical parties involved as opposed to a business party involved. Not being too specific, it’s a triumvirate, and at the end of the day we have to make sure we have a technical and commercial outcome we are happy with. Getting that Mustang out there also presents us with an opportunity to get the [Ranger] Raptor out there running around the track and maybe even further. At the end of the day, as the market, we are responsible to drive the strategy and make the decision about whether we should be in there or not. Will you promote your presence in the championship? I think today’s event [the media announcement in Melbourne] speaks volumes about how we intend to promote going forward. We are not going to be fearful or worried about promoting. We will be looking to promote our company involvement and our product involvement in the right way because there is a strong technology story around Ford Performance vehicles as much as there is around the Mustang car in its own right, along with Raptor and maybe elsewhere. So yes, we will be promoting and yes, we will be publicly visible around racing, otherwise we wouldn’t be doing this. You are running a V8, but there was serious consideration given to running a turbocharged V6. Can you explain the decision-making process on powertrain and whether you will move away from V8 at some point? We had long discussions about powertrain and first and foremost we needed to be competitive. We chose to go with the V8 as we re-enter. It obviously doesn’t preclude us from doing something in the future, but to be competitive and also to bring the vehicle in to racing that was probably the most competitive and reliable way. Clearly, we have seen some news recently on one of the other OEM teams [Holden] in terms of what they might or might not do in terms of other powertrains [stopping V6 development]. That is less relevant to us, but we may go to all sorts of spaces. I’d like for an example to see [if you could] electrify. So, I think the field is pretty open as to where you might go with powertrain but our first toe back in the water is going to be with V8. What are the rewards you want from this investment; Mustang sales, Ford Performance brand promotion? I think it further credentials the Mustang. It’s more than 20 months that we have had sports car [sales] leadership. Globally we have sports car leadership as well. I think its speaks volumes to the DNA of Mustang. It also relates directly to the total sports line-up of Ford Performance vehicle; you start to consider the [Fiesta] ST, the [Focus] RS and the impending Raptor. We will have some really strong, really desirable and pretty cool performance vehicles out there. I can’t talk to the direct sales relationship. I would hope people would be not just aware of the Mustang out on the track but also the Raptor out on the track. I think we are one of the most successful right-hand drive markets for Mustangs so I think this is a continuation of the [Mustang] story and it grounds the vehicle in its DNA. What is your assessment of the health of the Supercars Championship? If you look at some of their attendance and viewing figures and some of the metrics they have shared over time, I would think James Warburton when he ended his time [as Supercars CEO] would have been a lot happier with what he finished with than what he started with. That’s in terms of not only the financial health but also the brand health of Supercars. They certainly signalled and moved their properties, so to speak, in a more broad way, they’ve have got more grass roots at the same time. As I look at that I say that we put the Mustang and the Raptor into their series and I think that’s in safe hands. It’s growing in terms of its appeal, it’s starting to broaden, so we are excited about what Supercars can bring to us and they have been working very strongly in partnership with us, which is very encouraging as well. Both Roger Penske and his chef lieutenant at Team Penske, Tim Cindric, have been quite outspoken at times in their bemusement at Ford’s attitude to racing and the lack of support it provided from 2016 onwards. Penske also spoke about an active search to race another brand. Did their comments bring you to the table to talk to them, or did it discourage you from talking to them? It doesn’t really work that way at the end of the day and I think we have to be careful, because some of the reporting I would term at best exaggerated. I don’t want to be rude but I would read some things in the press that were completely untrue. Anybody who knows Tim and specifically Roger, they are very strong advocates of Ford, but they are also respectful business people as well. And so, when they were about to enter a relationship in Australia we had actually told them a little earlier than some others that we were going to finish the type of relationship we had in the past and we made sure they were aware of that before they made their decisions. At the same time, it’s always seemed a bit mercenary and lacking in sincerity for us to sit in 2016 and 2017 and talk about DJR Team Penske or Prodrive [now Tickford] publicly as if we were trying to attach ourselves to their success. It didn’t feel like a sincere thing to do, in fact it felt a bit bloody dirty. So why would we do that? We were always quietly cheering them on and maintaining the relationship with both of them, because we always valued the relationship. Our dialogue has been long-standing and [media reports] were not particularly impactful because you do these things for reasons and those reasons need to be there. And the reasons were it’s the right strategy, we have the right vehicles now, we want to connect with customers in that space. So, we do it for those reasons, not because someone reports something in the press. That’s a very dangerous way of running a business. You disenfranchised and pissed off a lot of Ford fans when you pulled out. Do you expect the rusted-ons to fall back in love with you? We had to make some tough decisions back in 2014 and 2015 and they are well documented. And that wasn’t just in racing, we had to ensure we had a sustainable and healthy business in Australia going forward. We needed to do our best with our time and money ensuring our customer experience in our dealerships and all those sorts of things were improving. At the same time, we had some products coming the future that probably had a stronger fit and that’s why quietly in the background we continued to support the teams. There may be some customers and race enthusiasts who weren’t happy with the decision and you respect their opinion at the end of the day because that’s their opinion to hold. Hopefully they’ll see with this announcement, alongside our other Ford Performance offerings, we are a company that hasn’t wandered too far from what are our roots. But there was a period of time where we had to concentrate some on other things, now we are back. That’s how I would term it. Was Mondeo ever seriously considered as a Supercars racing option instead of Mustang? We thought about it. This is well before conversations with Ford Performance, well before conversations with the teams. We thought about what could be potential vehicles and what would be the fit. 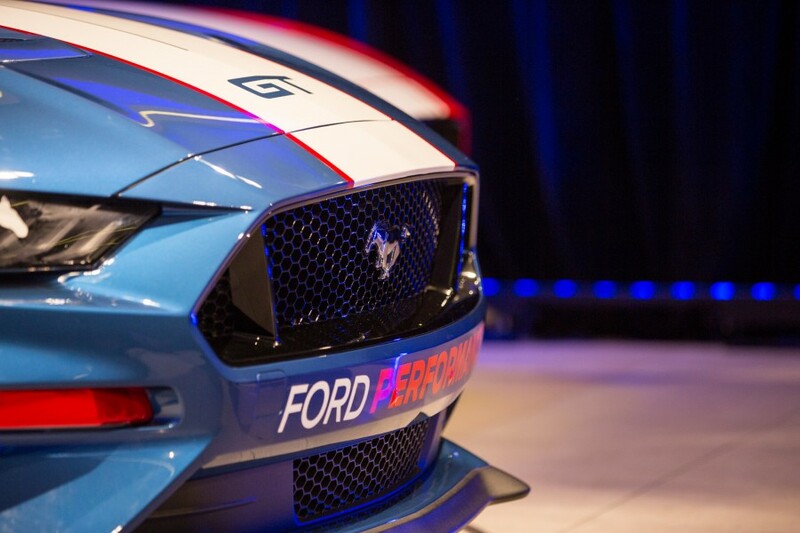 We felt it was a natural fit for Mustang when you could sit there as a race enthusiast and as a car person you think ‘what are my options’ and given the change in Supercars’ view on what could go on the track it could have been a Focus, for example. But the Mustang was the right fit and that’s why we were always aiming towards that. We did the assessment and we decided Mustang was the right one.